The titular hero (Cody Deal) from Valhalla rises up against a demonic god (Richard Grieco) who threatens to obliterate Los Angeles. Cast includes Richard Grieco, Patricia Velasquez, Kevin Nash, Cody Deal, Jess Allen, Charlie Glackin, Chris Ivan Cevic, Rodney Wilson, Gerald Webb and Kristen Kerr. 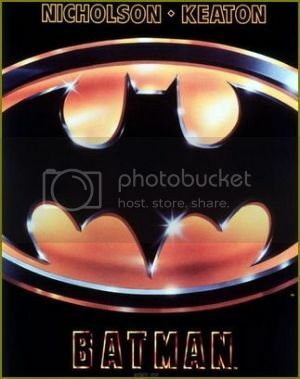 Gotham City, a crime-ridden, debris-strewn, sunless, architecturally incoherent metropolis, is desperately in need of a savior, for the city is in the corrupting grip of crime boss Carl Grissom (Jack Palance). Ace photographer Vicki Vale (Kim Basinger) has been intrigued by the sightings of a mysterious, giant vigilante bat. She meets enigmatic millionaire Bruce Wayne (Michael Keaton), not suspecting that he's Batman. Wayne is quite taken with the lovely Vicki but is distracted by the wicked ways of Grissom's top henchman, Jack Napier (Jack Nicholson), alias the Joker. Cast includes Michael Keaton, Jack Nicholson, Kim Basinger, Robert Wuhl, Pat Hingle, Billy Dee Williams, Michael Gough and Jack Palance. 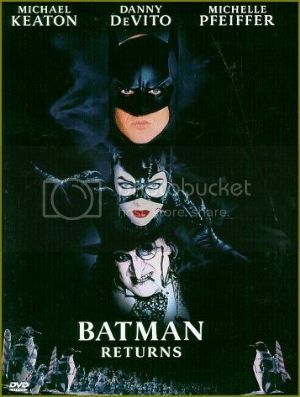 Tim Burton's sequel pits the Caped Crusader (Michael Keaton) against the Penguin (Danny DeVito) and Catwoman (Michelle Pfeiffer). Cast includes Michael Keaton, Danny DeVito, Michelle Pfeiffer, Christopher Walken, Michael Gough, Pat Hingle, Vincent Schiavelli, Doug Jones, Branscombe Richmond, Paul Reubens and Major Crimes' Robert Gossett. 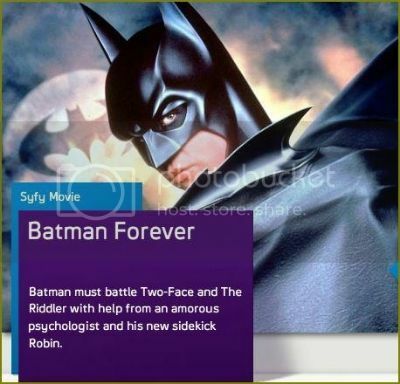 The Caped Crusader (Val Kilmer) battles Two-Face (Tommy Lee Jones) and the Riddler (Jim Carrey) in this sequel. Cast includes Val Kilmer, Tommy Lee Jones, Jim Carrey, Nicole Kidman, Chris O'Donnell, Michael Gough, Pat Hingle, Drew Barrymore, Debi Mazar and Star Trek: Deep Space Nine's Rene Auberjonois. Batman (George Clooney) and Robin (Chris O'Donnell) try to stop Mr. 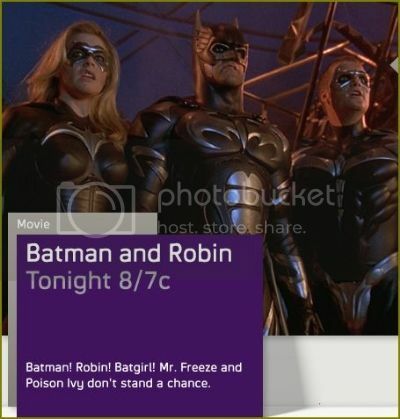 Freeze (Arnold Schwarzenegger) and Poison Ivy (Uma Thurman) from spreading a deadly frost over Gotham. 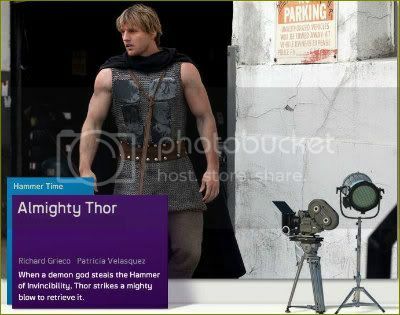 Cast includes George Clooney, Arnold Schwarzenegger, NCIS: Los Angeles' Chris O'Donnell, Uma Thurman, Alicia Silverstone, Michael Gough, Pat Hingle, John Glover, Elle Macpherson, Vivica A. Fox and Major Crimes' Michael Paul Chan. 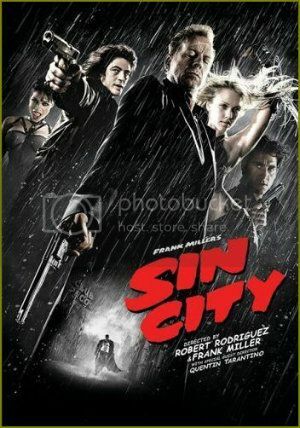 Robert Rodriguez and Frank Miller directed this stunning, faithful and gory adaptation of a trio of Miller's graphic novels set in the underbelly of a noirish metropolis. A film that explores the dark and miserable town, Basin City, and tells the story of three different people, all caught up in violent corruption. Cast includes Jessica Alba, Devon Aoki, Powers Boothe, Jude Ciccolella, Rosario Dawson, Jesse De Luna, Benicio Del Toro, Michael Clarke Duncan, Rick Gomez, Carla Gugino, Josh Hartnett, Rutger Hauer, Nicky Katt, Jaime King, Michael Madsen, Brittany Murphy, Nick Offerman, Clive Owen, Mickey Rourke, Nick Stahl, Bruce Willis and Elijah Wood. Three dinosaurs wreak havoc on a small town and a local university after the owner of a kitschy roadside museum accidentally brings three fossils to life. Directed by Eureka's Colin Ferguson. Cast includes Steven Brand, Kirsty Mitchell, Jordan Bonev, Nathalie Buscombe, Game of Thrones' Emilia Clarke, Lincoln Frager and Veselina Ilieva. 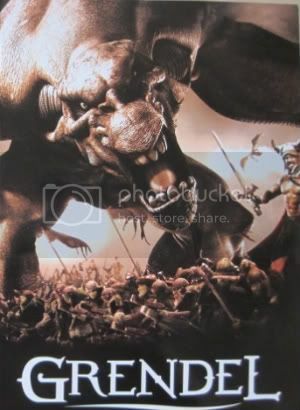 Chris Bruno, Ben Cross and Marina Sirtis star in this dramatic adaptation of the fantasy epic “Beowulf,” in which a hero battles a legendary monster. Cast includes Chris Bruno, Star Trek: The Next Generation's Marina Sirtis, Michael J. Minor, Chuck Hittinger, Alexis Peters and Ben Cross.